Saturday, December 6, 2014, from 8:00 AM until 12:30 PM. The talk will focus on how Jewish women were treated in first-century Palestine, on Jesus’ mother Mary, and on the place of women in Jesus’ ministry. We will consider the question, “Who was Mary Magdalene?” We will look at the biblical examples of Jesus’ actions toward women, which are reflected in his teachings and healing work; and finally, we will take a brief look at womanhood’s contribution to the early Christian church. 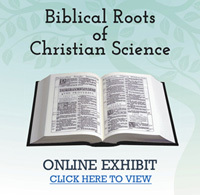 Kristy L. Christian, M.A.R., is a class-taught Christian Scientist. She graduated from Principia College with a B.A. in History/Secondary Education. She received her M.A. in Religion, with highest honors, from Oklahoma City University’s School of Religion. Ms. Christian is President of Biblos Foundation and has given Bible talks and workshops throughout the United States, Canada, India, and England for the purpose of helping audiences learn how to study the Bible in its inspired meaning. 191 N Los Robles Ave.
Self-parking at Westin – $5.00 extra charge, each vehicle, weekend rate, pay Westin directly. Valet-parking at Westin – $16.00 extra charge, each vehicle, weekend rate, pay Westin directly.